SANTA CRUZ, CA--Sociologist William H. Friedland may be best known for his critique of mechanized tomato harvesting, but he's been a thorn in the side of corporate agriculture for almost half a century. In recognition of his contributions as a scholar and researcher, Friedland, a professor emeritus and research professor of community studies and sociology at UC Santa Cruz, will receive the inaugural Distinguished Social Sciences Emeriti Faculty Award at a luncheon in his honor on April 27. "This award recognizes the valuable contributions of our emeriti faculty," said Social Sciences Dean Sheldon Kamieniecki, who initiated the award. "The success of the Division of Social Sciences is due, in part, to the foundation laid by the faculty who have built our departments and brought distinction to our division." Friedland, who retired from teaching in 1991, was chosen by a committee of current and emeriti faculty members and students from the Social Sciences Division, who evaluated nominations submitted by faculty, staff, and alumni. 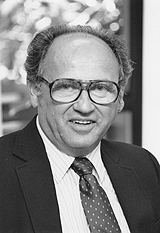 Friedland came to UCSC in 1969 as founding chair of community studies. His wide-ranging interest in agriculture focused on people, including the impacts of technology on growers and farmworkers, and he called on UC to be responsive to the social consequences of UC agricultural research and not just economic efficiency. As power was being concentrated in global agricultural corporations, he cast a skeptical eye on the notion that bigger was better. Friedland's landmark study of mechanized tomato harvesting documented the sharp decline in the number of workers and growers, the doubling of tomato acreage in California, and the displacement of production from the Stockton area to the southern San Joaquin Valley. A subsequent predictive study of the mechanization of lettuce established Friedland as the leading researcher in the sociology of agriculture. An outspoken critic of what he considered UC's narrow research agenda, Friedland saluted the university as a "remarkable place" when he received a lifetime achievement award from the Rural Sociological Society in 2005. "Intellectually, I found a kind of freedom that proves that academic freedom is a serious thing," he said. Editor's Note: The award luncheon is not open to the public; journalists who plan to cover the event are asked to contact Andrea Cohen in the Social Sciences Dean's Office at acohen@ucsc.edu or (831) 459-3212.